and dairy sector experts from across New Zealand and Ireland. 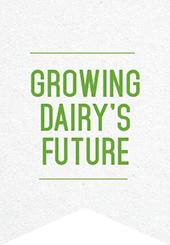 for this and the next generation of dairy farmers and our dairy stakeholders. The conference programme is designed to reinforce exactly what our competitive advantage is now and into the future, to robustly debate the challenges and opportunities, and to critically evaluate current solutions and the future solutions we need to develop. In this way we link milk processor strategy to profitable on farm strategy, retaining comparative advantage for pasture farmers both in the market and on farm.